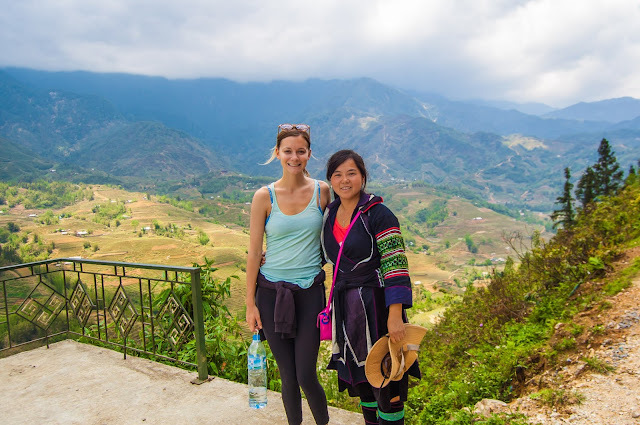 When it comes to Ha Giang people can not say no to a rocky plateau of Dong Van, spread over 4 districts of Ha Giang, is one of the beautiful highlands of Vietnam. There Dong Van karst beauty especially in Vietnam. 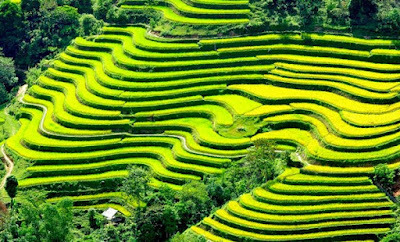 Ha Giang stone plateau is not only known as the “capital” of beautiful flowers triangular circuit untouched but also by the delicious cuisine extremely unique and varied. 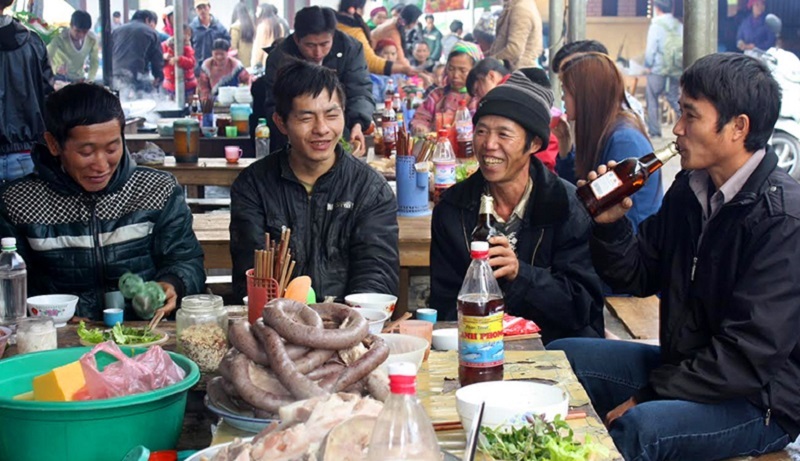 Not only known for grilled dishes moss, Straight, Au Tau porridge, sticky … Ha Giang Shining is one of the places to enjoy “Thang Co” Northwest’s finest. According to folk dishes “Thang Co” is the H’Mong bring to Vietnam about 300 years ago and the area of “skin pot Saute” the chaos. H’mong (Miao) also among ethnic hunted among peoples forced to exile. The disaster evacuates him to work as wage shallow draft, they meat both steed to rescue the soldiers. No saucepan, wok, they used horse skin made into a large saucepan and use all the horses for food. 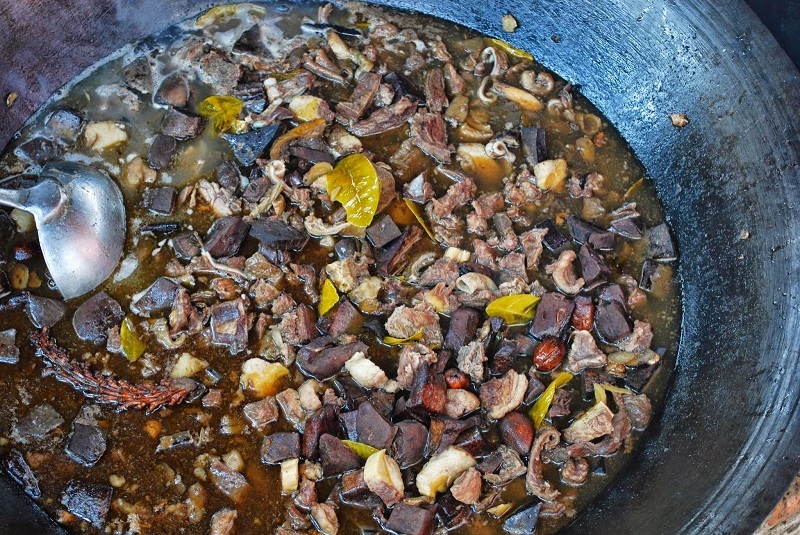 And since then, the item “Thang Co” has become a traditional dish of the H’Mong. 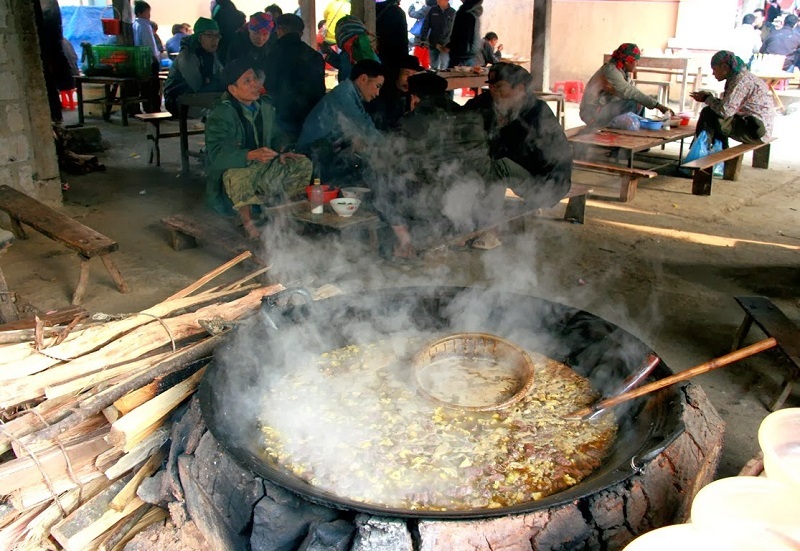 “Thang Co” also known as “ethnic hot pot”, is one of the traditional cuisine of the H’mong are spreading to most provinces in the northern mountainous region. Try to win food originally made from horse meat, which is then processed by variations from beef cattle, goats and many different spices under each region. 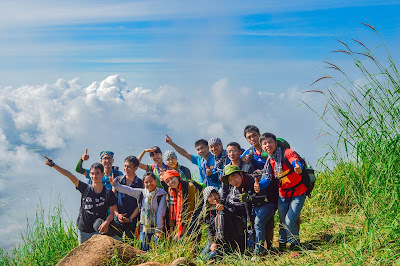 Therefore, “Thang Co” in Ha Giang have very particular taste than in Son La, Moc Chau, Dien Bien and other mountainous provinces. Unlike other specialties prepared picky, how to cook, “Thang Co” extremely simple but no less distinctive, traditional spices including cardamom 12 minutes, anise, cinnamon expenditures, lemongrass, ginger and many other esoteric condiments. Horse meat and “continental government organs” are washed, boiled, sometimes marinated with spices before, then drop into the broth pot with horse bones, organs, drainage and 12 spices listed above have been boiled, then so simmered for hours. The pot “Thang Co” in the highland markets are big enough to eat a few dozen people, while in the restaurant, from pot “Thang Co” large, new food at pot and scoop out flesh Status horse stocked. Pot to cook “Thang Co” is usually an old pan. The cook will give all the organs and meat stir-fry until meat hunting, then pour water into boiling security and so on glowing charcoal. When cooking “Thang Co”, the cook must stand guard for the water pot to cook Skim sweet and, after “Thang Co” cooked, add some herbs to enhance the flavor. The bowl “Thang Co” is ladled out serving diners from the constant waves wok lean meat, fat, and organs continental government. First time eating “Thang Co”, many people probably would not know by taste. 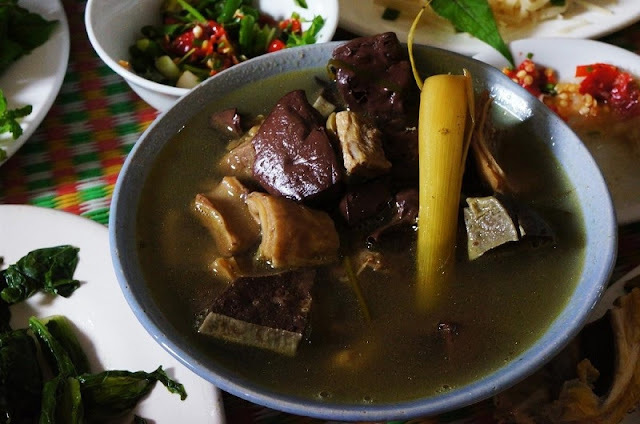 But when did eat familiar, you will feel the sweet taste of water fed fat without security, crunchy taste of cartilage ponytail, oxtail, aroma of cardamom, cinnamon, anise and soft taste of meat. When eating “Thang Co”, people often eat vegetables together with the re-embedding as improving gas, hotpot reform, reform cats, dotted with spicy sauces to drive away the cold of the highlands. Unlike other dishes are always a bowl ladle, “Thang Co” is always served hot, ladled mean to eat Where can we ensure that delicious taste. This dish can not be beautiful form and a strange smell, but as more people eat familiar feel like more. Many people find that eating “Thang Co” in the restaurant, hotel though it looks more clean and secure, but the taste can not match the food at the market in Dong Van, Meo Vac. Main esoteric spices of the people here have created dishes “Thang Co” delicious, bold unique cultural identity. The last day of the year, “Thang Co” will be cooked more to serve the indigenous people Tet market. This is also a great time for visitors to easily find items “Thang Co” in the market, and enjoy the delicious taste in style between winter days. 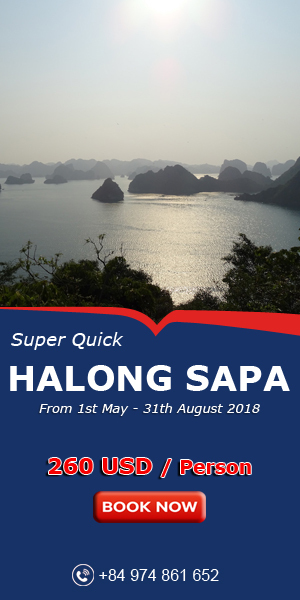 So, if you want a trip Northwestern and experience the feeling of eating “Thang Co” at the fair last year, come to Ha Giang right the next time. Going mountainous fair, cold weather, smog shy table that tasted pieces “Thang Co” hot along with upland corn cup must not few can forget. When he remembered slope “Trang Kim” When in the memory”Khau Tha Sa Phin ” was saying very impressed with the food, “Thang Co” at Plateau in Ha Giang!